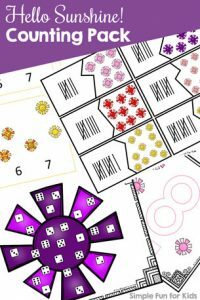 Counting cards are super fun for little learners! 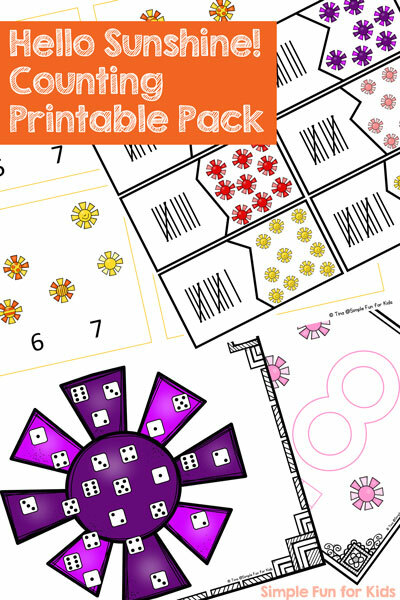 You can use them as flash cards or practice 1:1 correspondence, number order, and more! 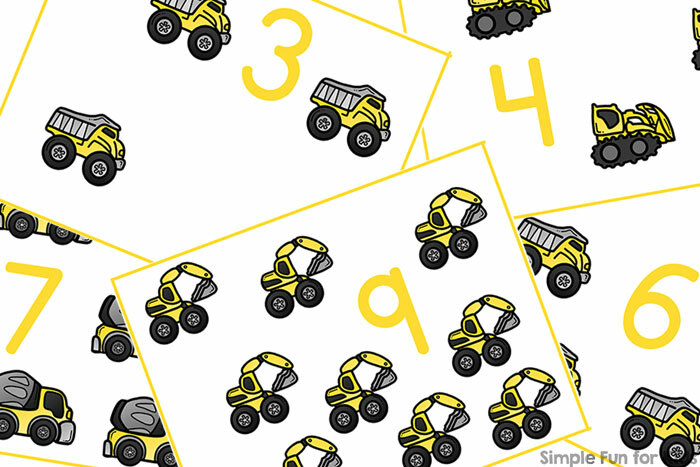 Today, I have a set of Construction Vehicles Counting Cards for numbers 1-12 for you. Printable PDF file (download below for free). 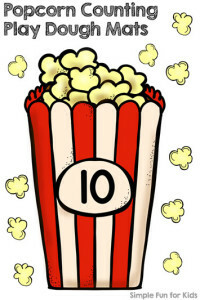 The pdf file contains three pages of four counting cards each. The cards cover all of the numbers from 1 through 12. 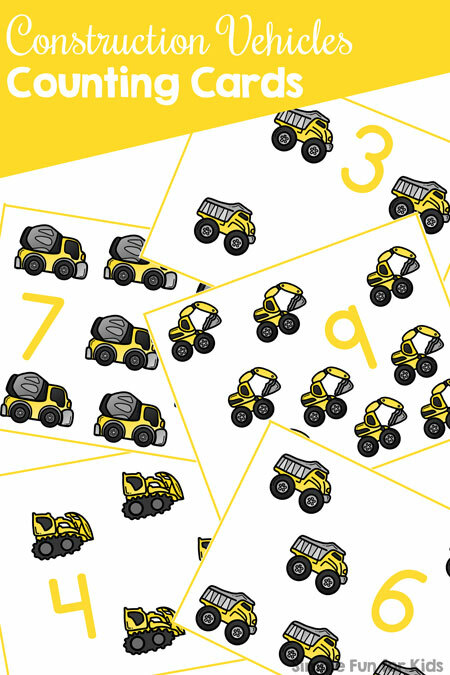 Each card shows a numeral and the same number of construction vehicles: excavators, dump trucks, bulldozers, and cement trucks. 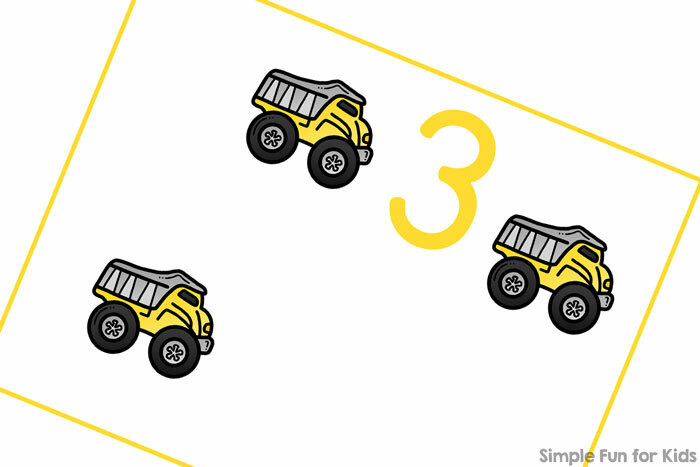 Print out the page(s) you need, cut them apart at the yellow lines, and count! 2-year-old N loves putting a manipulative on each image, sometimes counting along, sometimes waiting for me to count for him. 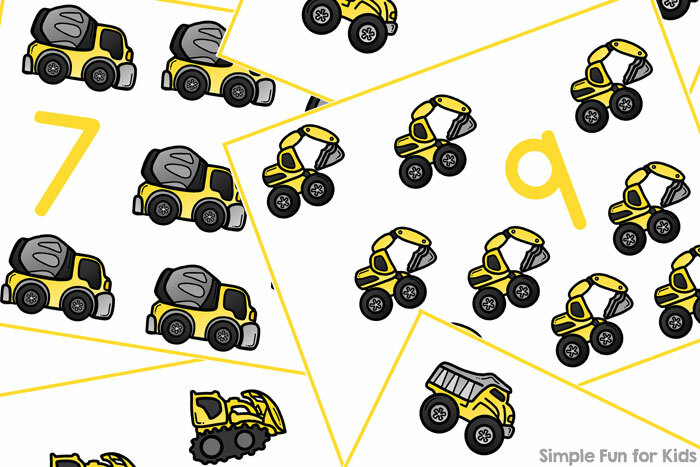 Download your free Construction Vehicles Counting Cards! My Match This! 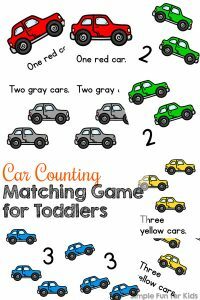 Matching Games for Toddlers Ebook includes a matching game that uses the same set. 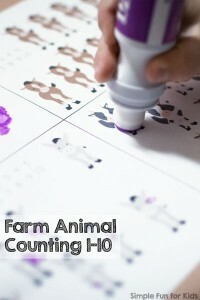 Are you looking for other counting activities? Here are a few others!